So there you go - I am good at saying no, I can say it normally, in slang, elongate it and I can even say it in different languages! But apparently I'm not great at saying it in life. Well at least that's how it appears looking from the outside in. In the last 4 weeks I've literally had 4 people in separate conversations say to me 'soooo, you just need to learn how to say no then'...in response to me explaining how my life looks currently. No prompting, they've all come out with it of their own accord, much to my surprise and bemusement! But upon closer inspection, perhaps that's not the whole truth and nothing but. Yes I've definitely got a lot better with saying no to different outings, even with my closest friends I can say 'you know what, I might pass on that'. But then when it comes to new opportunities...particularly with something I've wanted to do for a while or will give me a new experience, I tend to say sure, add it to the mix. I'm such an Aussie - the 'she'll be right' attitude is alive and well in me! Oh and did I mention helping others? Because I'm a sucker for that. If it's something that will help another person, add it on! Clearly it's not a bad thing to help others - I really enjoy it - but when it's at the expense of your own self, probably not so great. Perhaps it's not about saying no as much as saying 'I'd love to but I can't right now, my schedule won't allow it', or words to that effect. This is a concept I've struggled with lately - it's not so much that I'm a sadist and want to cram my schedule. I just think I've been showing my Gen Y'ness by wanting it all now...rather than taking a step back to say ok I'll do that now, then I can do that later this year, next year etc etc. Actually, more to the point is that I haven't had any sort of long range plan and flying by the seat of my pants isn't the best way for me to do things. 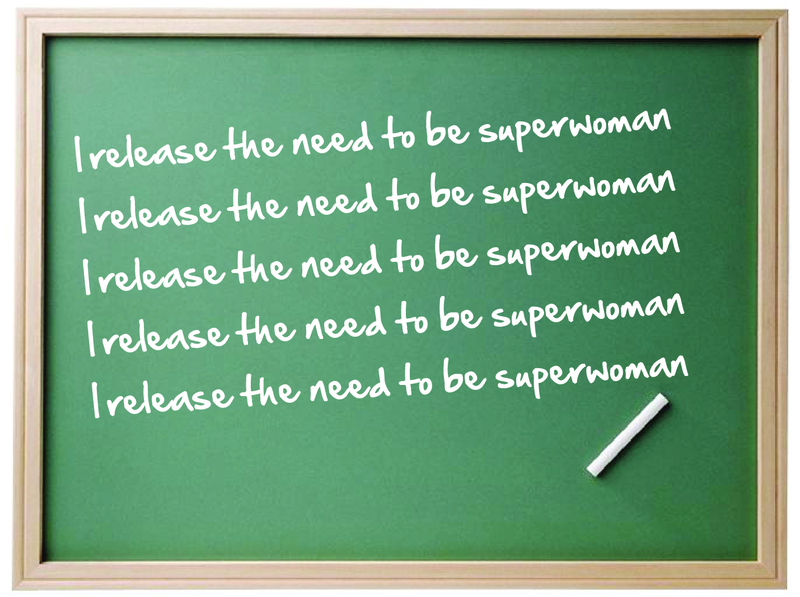 The other thing I need to do is let go of the need to be superwoman for everyone else and remember to make time to feed my soul! As I heard the Dalai Lama himself say just last week - you need to make sure you take care of yourself first so then you're able to help others. And yes, I know there's been quite a few of you saying this to me lately - it's definitely a lesson for me at the moment! 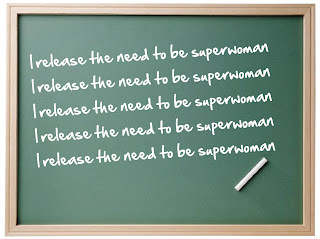 The question I find myself asking is why do I have to be superwoman anyway? And since when did I become the person who can't stop or take time for myself? I'm not quite sure really, but I'd like to let both go because neither is doing much for me. So now my mission...and yes I choose to accept...is to take the cape off and put my undies back on the inside!